When it comes to mascara I’ve stuck with the drugstore for a while now. Sure there are some high-end versions I’ve used and loved, I’m thinking Dior, Chanel and Clinique here, but in all honesty I think the drugstore offers everything you would want in a mascara and it’s so much cheaper. Lastly it’s black mascara all the way! I have 5 mascaras that fulfil these requirements to talk to you about and from top to bottom below is the L’Oreal Volume Million Lashes Mascara. This was my first drugstore mascara love and is something I will always come back to. As its name suggests, this is packed with a multitude of bristles which effectively coat all of your lashes. I find it very easy to build up, it doesn’t clump and it makes my lashes look super long and voluminous. 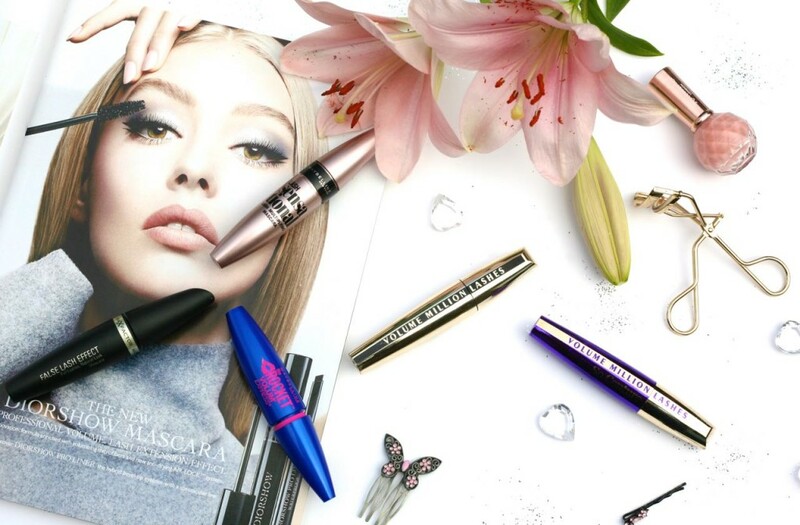 The Max Factor False Lash Effect Mascara has somewhat of a cult status. The wand is super thick but if I’m not careful it can smudge on my upper eyelid. It’s probably just my haphazard ways but I have to be that extra bit careful with this one. That said, I can’t fault the thickness this gives to the lashes. Does it look like I’m wearing false lashes with this one? Hmmm….probably not, but pretty close. 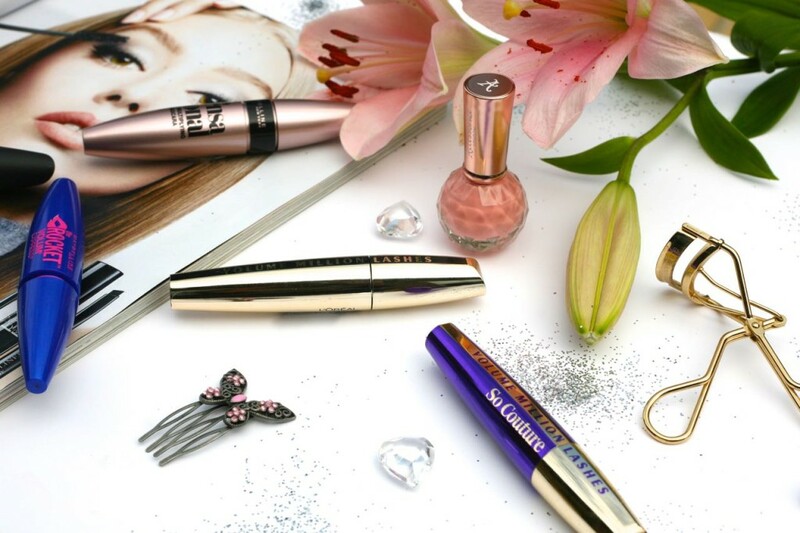 The Volum Rocket Express Mascara by Maybelline was an impulse buy and is quite similar in effect to the Max Factor False Lash Effect Mascara. Whilst I don’t really like the packaging, this doesn’t clump and the volume and thickness this gives to the lashes is impressive. The Maybelline Lash Sensational Lash Multiplying Mascara is a new one I am using that I am really enjoying. I don’t normally go for curved wands but I have to say this one just works in every way. It coats each and every lash and gives a beautiful fanned out effect making your eyes look wider. Lastly is the L’Oreal Volume Million Lashes So Couture Mascara. This is a part of the L’Oreal Volume Million Lashes family but has a liquid black silk formula. To me that translates as a slightly wetter formula than what I prefer and I find that the effect is not as dramatic as all the others, but this still gives good natural volume and curl to the lashes. 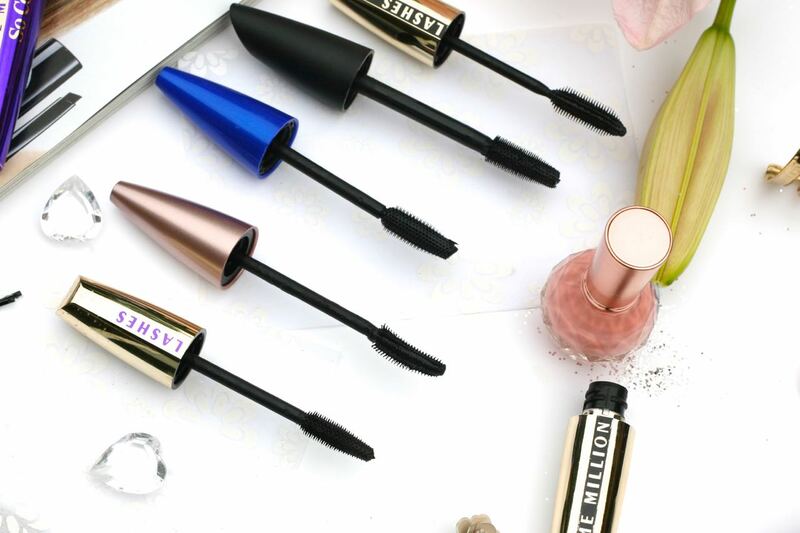 If I was to pick my favourite then it would be the Maybelline Lash Sensational Lash Multiplying Mascara followed very closely by the L’Oreal Volume Million Lashes Mascara as they are both just all rounders in terms of curl, length and volume. A little tip though, if you don’t do so already I highly recommend the use of an eyelash curler beforehand, it really does make all the difference and I’ve done a post on this here.